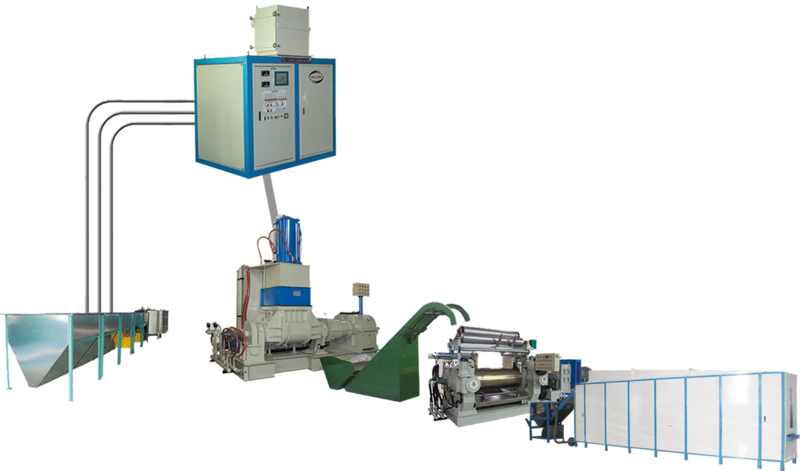 Rubber Products Production Line with Kneader Mixer-Zhang Jiang Automation (Jiangsu) Co.Ltd. Zhang Jiang Automation (Jiangsu) Co.Ltd. Zhang-Jiang Automation supply the design for whole production, manufacturing, installation and after-sales service. Based on the requirement of different production capacity, we can supply customized solution to make sure production operation smoothly, much higher automation, shorten production line building time, and reduce investment cost. 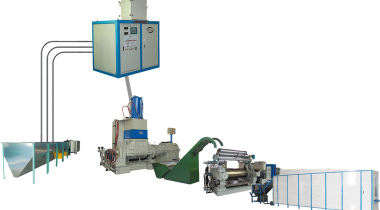 Rubber products production line with kneader mixer is designed for all kinds of rubber products which requires single stage or multi-stage mixing process. The production line mainly contains Automatic Multi-ingredient Formula Weighing System, Kneader mixer, Bucket elevator, Rubber open mill, batch-off etc. Powered by MetInfo 6.0.0 ©2008-2019 MetInfo Inc.